Folks, I can’t believe Summer is here already! This school year went by so fast for me that everything kind of took me for surprise, like, last day of school! I waited too long to get a present for the teachers and then I had to magically arrange something kind of last minute gift… the day before! So I thought, what would I want to do if I were a teacher and classes are ending? RELAX I guess! 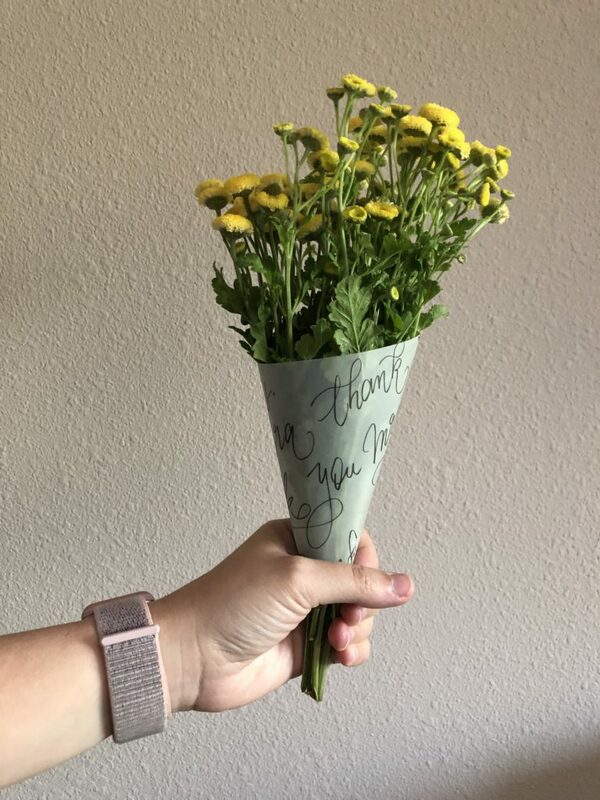 So I decided to get them some bath salts and a body cream all with chamomile (relaxing effect) and luckily I found some chamomile flowers at my local Whole Foods so I added this as a little detail. 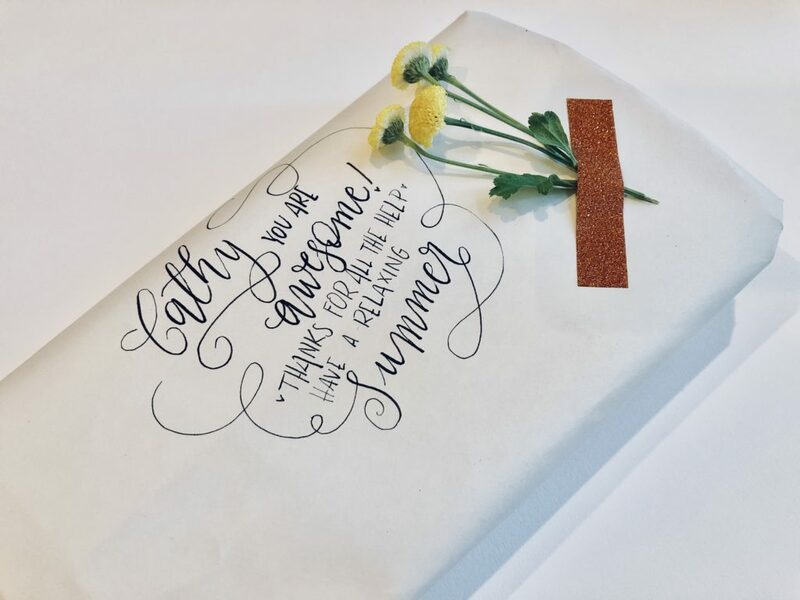 I did a little lettering on vellum paper and used it to wrap the flowers. Since I was in a rush, I used one of my markers and not an actual pointed pen and nib, but after doing this I thought how cool of a project to make this when you’re just starting doing calligraphy! You could also re-use practice paper but it makes it more special writing the name of the person that will receive this gift and maybe even a message, in this case I wrote “Thank you Mrs Laura” all over. For all the wrapping I added a little beauty to plain IKEA rolling paper with some lettering using also a Tombow marker. I thought of sharing these since they can be fun projects where you can use your calligraphy skills. I hope you like these ideas and let me know if you try it!